Playing casino games is a favorite pastime of millions of people across the world. The rapid advent of technologies in the last two decades has led to the emergence of hundreds of online casinos. This enables players to engage in their favorite casino games from the comfort of their homes. Gone are the days when people were required to go out and drive around in search of a brick-and-mortar gambling venue to place their bets in. What is more, online casinos are home to diverse gaming libraries that feature a comprehensive range of games including hundreds of video slots, video poker, arcades and various classic table and card games. Players can also test their skills against those of seasoned croupiers as all renowned online casino operators offer live-dealer games streamed in real time. There are hundreds of online casino operators but the regulations and legal restrictions that are in place differ depending on the countries in which players are domiciled. There are countries such as the United States, Turkey, and France, where online casino gambling is of illegal status for the large part, so players residing there often experience difficulties in finding web-based gambling operators accepting registrations from these jurisdictions. Yet, there are still many offshore gambling providers which are happy to welcome players from around the world. The following article aims at introducing players to some key points in regard to the legality of online gambling as well as to help them acquaint themselves with the key aspects of choosing an online casino to play at for real money. Prior to registering at any online casino, players need to make sure the operator is trustworthy, fair and above all, licensed. If a given gambling operator bears the stamp of approval of a strict regulatory body, players can have their peace of mind, knowing they will be provided with a secure and fair gaming environment. In order to obtain a valid license, casino operators are required to go through different background and security checks. Their operational practices are also subjected to rigorous inspections. The software the casino uses and its gaming library are subjected to audits on behalf of third-party testing agencies in order to ensure the fairness and randomness of the games. Whether or not the operators are ethical when it comes to their business practices is also subject to examination. The same applies to the financial and tax status of the applicants. If the results of these inspections have proved to be satisfactory, the regulatory bodies issue licenses, allowing the online casino operators to legally offer their services and products to players in specific jurisdictions that are regulated. However, all does not end with the license being granted. The operators undergo tax and financial audits on a regular basis as well as various technical audits to ensure fair operational environment is always at hand. The licenses are often valid for a designated period of time and need to be renewed once they expire. But this also depends on which regulatory authority has issued the license. For example, the licenses granted by the UK Gambling Commission are valid for an indefinite period of time and apply until they are either suspended or revoked. Of course, the online casino operator may also opt for surrendering the license on its own in case of bankruptcy, for instance. Note that in some jurisdictions online gambling is either illegal or simply is not regulated. In such territories, the regulatory authorities issue licenses only for landbased gambling establishments. There are several stringent gambling regulatory bodies in the world and players, who register at casinos bearing their stamp of approval can rest safe in the knowledge they will be treated with fairness and courtesy. The aforementioned UK Gambling Commission operates since 2006 under what is known as the Gambling Act of 2005 and has provided licenses to over 90 gaming companies that can legally operate from within the territory of the country. 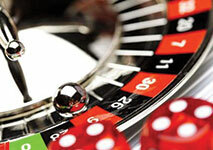 Such operators can offer various types of products including different casino games, sports betting, poker and bingo. Another stringent and highly respected regulatory body is the Malta Gaming Authority or MGA which operates since the year of 2000. Despite being a rather small island in size, Malta is considered one of the leading gambling jurisdictions on the planet and as such, it has issued licenses to nearly 400 web-based casino providers. The MGA issues four different types of licenses – for online casino games, games of chance and games based on Random Number Generators, for online sports betting, for advertising and promoting gambling companies that operate from Malta and finally, for hosting and managing remote gambling operations only. The licenses expire five years after being issued and require licensees to pay a 0.50% tax on their turnover. The Gibraltar Gambling Commission is another reputable regulatory body that is well-known in the industry. The Commission has granted licenses to over 200 online gambling websites under the Gambling Ordinance of 2005. Licensees obtain permission to operate from the Commission after their software has gone through rigorous tests. Many casino operators opt for applying for Gibraltar licenses because the tax on their overall turnover amounts to 1% only. In addition, there are no Value Added Taxes in this jurisdiction. The number of online casino operators to hold licenses by the Kahnawake Gaming Commission exceeds 100. This commission has been licensing and regulating gambling activities from and within the Mohawk Territory of Kahnawake in Canada since 1999. As many as 160 online casino operators have been granted permission to operate from the jurisdiction of Costa Rica. What is unique about this jurisdiction is that its main requirement is that interactive gaming companies should not provide their services to local residents. The Costa Rican regulators register and license gambling websites as “data processing” companies and impose quite reasonable licensing fees of $5,000. Operators are also required to pay a legal costs fee of $500. Established in the year of 2000, the Alderney Gambling Control Commission issues two types of licenses to web-based gambling providers that have proven track records. Category 1 licenses cover funds management and customer interaction. Operators can also apply for Category 2 licenses which enable them to process online gambling transactions and manage web-based gaming platforms. The Isle of Man Gambling Supervision Commission was founded in 1962 and is, in fact, the first governing body in the world to introduce a completely new legislation for the regulation of online gambling activities. In comparison, other jurisdictions around the world have simply adapted their existing landbased gambling legislations for interactive gaming. The Isle of Man Gambling Supervision Commission issues licenses for online casino games, sports betting, lotteries, fantasy sports, live dealer games, mobile betting, and networked games, among others. As becomes evident, online gambling markets where regulations are in place are controlled by regulatory forces such as the local government or by specific organizations like the aforementioned gambling commissions. In other words, online casinos cannot offer their services to residents of the given country unless they have obtained a valid license from the local regulatory body. In recent years, the number of countries to have created their own gambling regulatory bodies is on the increase. The chief goal is to protect residents as the local governments have more say over which casino operators can provide games to players from their jurisdiction and what criteria the licensees should meet in order to operate legally in the country. This is to ensure local players are provided with a secure, fair and reliable gaming environment at websites with a clean track record. This is not the case with unregulated markets where practically no strict guidelines are outlined as to who gets to offer interactive gambling services to local residents. In some countries, online gaming is not considered illegal but still, no specific regulations are in place. Players, residing in jurisdictions where online gambling is not regulated often face various drawbacks such as experiencing difficulties when processing payments to and from their accounts or being prohibited from participating in given promotional offers. Regulating online gambling also gives governments the benefit of additional profits coming into their countries since taxes are imposed on the gross turnover of the casino operators with a local license. The profits are typically used for the improvement of public services or go towards the prevention of gambling addiction and problem gambling. Established gaming operators typically provide their players with an extensive list of payment solutions to choose from. 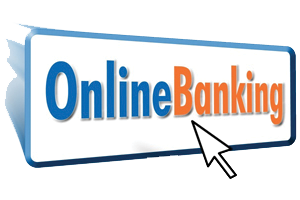 Processing a deposit to an online casino account has never been simpler thanks to the introduction of various improved methods of payment that allow for secure, hassle-free and quick transactions. Some of these payment solutions are actually country-specific meaning that they may be unavailable to players from specific jurisdictions. Others can be used in a wide range of countries across the world. When choosing their preferred casino deposit method, players need to take into account several factors. Prior to opening an account, the player is recommended to check the Banking or Cashier section of their online casino of choice and browse through the available options in order to see which payments solutions are usable for their country of residence. Some players will find they are provided with a limited number of payment solutions due to the legislation in their country. For instance, players from the United States sometimes have their credit/debit cards payments declined as banking institutions in the country often refuse to process payments to and from online gambling websites. Another thing to consider is whether or not the payment method utilizes the currency used in the player’s country of residence. This will prevent the player from incurring various conversion fees when processing payments to and from their casino account. The fees associated with processing the transactions also need to be checked. Players should generally aim for methods where nominal fees are charged on transactions. Casinos typically do not impose fees on processing players’ payments but the same does not apply to banking institutions and other payment services companies. Choosing a payment method that is accepted for both depositing and cashing out is always a good idea as most times the withdrawal gets automatically returned to the same payment solution the player had used to fund their account. Last but not least, players should definitely check the processing times of their preferred payment solution. Note that online casinos grant reload bonuses on deposits carried out via specific payment methods, so choosing a banking solution which qualifies for one such bonus is recommended. Most regulated online casinos provide their players with the option of testing the gaming libraries in Fun or Practice mode. While this is a good way to get a proper feel of the available games, many players prefer to invest their own funds so that their betting session can pay off. Before you commit with real-money bets, you must make sure you are opening an account at a dependable and licensed online casino. Information regarding the licenses (as well as their numbers) is typically available at the bottom of the casino’s home page. Renowned gambling operators also offer information in regard to their games’ payout percentages. Their gaming libraries are subjected to rigorous testing on behalf of third-party auditors and the results are updated on a regular basis. Once you have ensured your casino of choice is licensed and trustworthy, you can proceed with registering and funding your new account by selecting a banking method from the available options. Check what currencies are accepted by the casino and select the one, used in your country (if available) in the process of registration. Depositing is usually quick and simple. All you need to do is head to the Cashier section, choose your preferred deposit method, enter your banking information, and input the amount you want to deposit. In most cases, the funds will be readily available in your account to bet with within a few moments. Withdrawals of winnings usually require a little more time due to the verification procedures. However, renowned operators are known to process withdrawals within a few business days in the worst case scenario. Security should be no concern of yours since all licensed and respected casino operators in the industry utilize state-of-the-art encryptions to protect their players’ transactions and personal data.